UPDATE: 1/21/2019 Request and recalls have been restored. Thank you for your patience. [We have temporarily disabled all requests/recalls on library items. We apologize for the inconvenience and are actively working to resolve the problem. 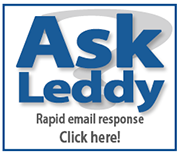 We will update LeddyNews when the service is available again. Thanks for your patience. Write Your Novel at Leddy this November! Have you always wanted to write a novel? This November, you can write your book at the Leddy Library! November is National Novel Writing Month (NaNoWriMo). NaNoWriMo is a non-profit organization that fosters community and support in creative endeavours. The challenge is this: write a 50,000-word novel in 30 days! So many people get bogged down worrying about grammar and writing poignant prose that they can’t finish a novel. Write your first draft during NaNoWriMo, and the editing can wait until December! Read more about Write Your Novel at Leddy this November! Safari Books, a package of 299 technology e-books from O’Reilly Media, has been discontinued by the vendor and is no longer available to students, faculty and staff. O’Reilly has replaced the previous package with a new e-learning platform, similar to Lynda.com. The University of Windsor already provides free access to Lynda.com for students, faculty and staff!